Ants vary in size from the tiny, sweet-eating black ant (1.5mm) to the large carpenter ant (13-15mm). 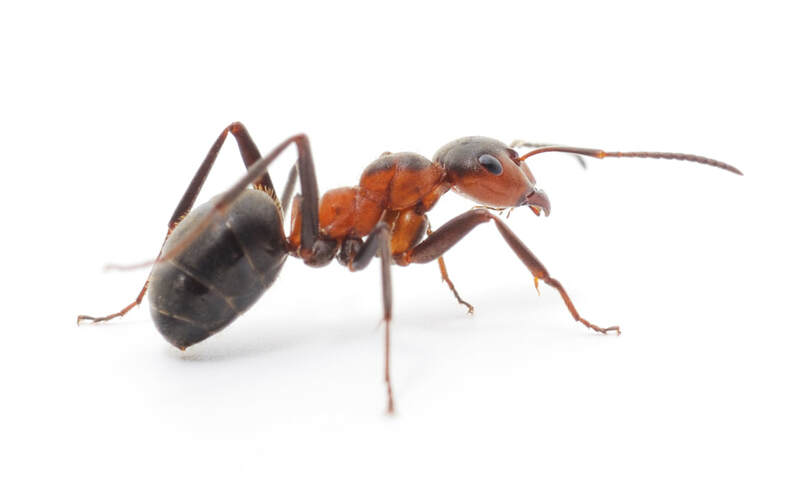 Most ants found in houses come from the soil outside or in crawl spaces or under concrete floors. They come in to search for food. Their taste preferences can range from sweets to greasy materials to starchy materials. They are also attracted to plant and animal materials of all kinds. Once a food source is found, they lay down a trail for the rest of the colony to follow. Sanitation is step #1 for control. Treatment outside may be as important as any done inside.